Ernie Ball acoustic guitar strings offer musicians the power to handpick the sound of their music. Acoustic guitar strings highly influence the overall sound and tonality because there are no pickups or amplifiers to interfere. Just pure music. But how do you choose the right acoustic string for your desired sound? 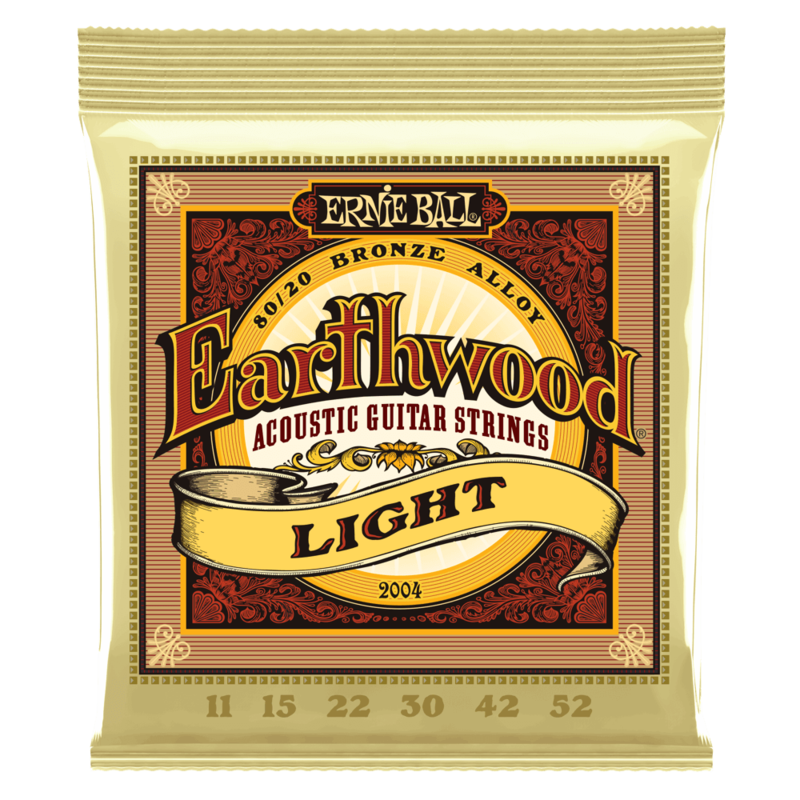 There are many different kinds of Ernie Ball acoustic guitar strings to choose from. This guide can help you select the right ones. First, we’ll address the most important, but sometimes the most confusing, element of choosing the right acoustic guitar strings: the gauge. The gauge of a string refers to the thickness of a string measured in thousandths of an inch. The larger the number, the thicker the string. Here’s a quick cheat sheet for what gauges to select. Acoustic guitar strings can be composed of one or more types of material, and the different material(s) create different tones and sustainability. 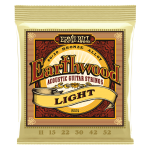 Here’s a quick comparison of the different types of Ernie Ball acoustic string compositions. Made from 80% copper, 20% zinc wire wrapped around hex shaped tin plated steel core wire, this is the most popular type of acoustic guitar string. They provide a crisp, ringing sound with excellent projection. 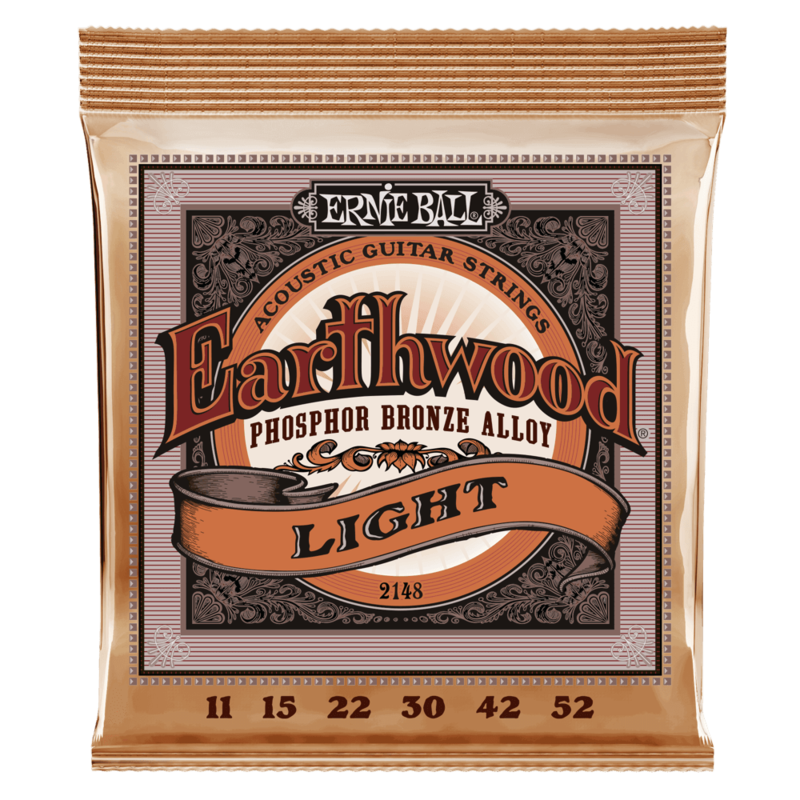 Phosphor bronze strings are made of 92% copper, 7.7% tin, 0.3% with phosphorus wire wrapped around tin plated hex shaped steel core wire. 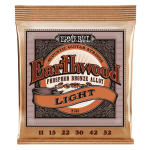 These guitar strings have a light orange, gold color and provide a rich warm tone, with excellent clarity. 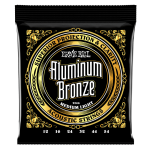 Aluminum bronze strings are made from a blend of copper and aluminum specifically tailored for acoustic guitar strings. 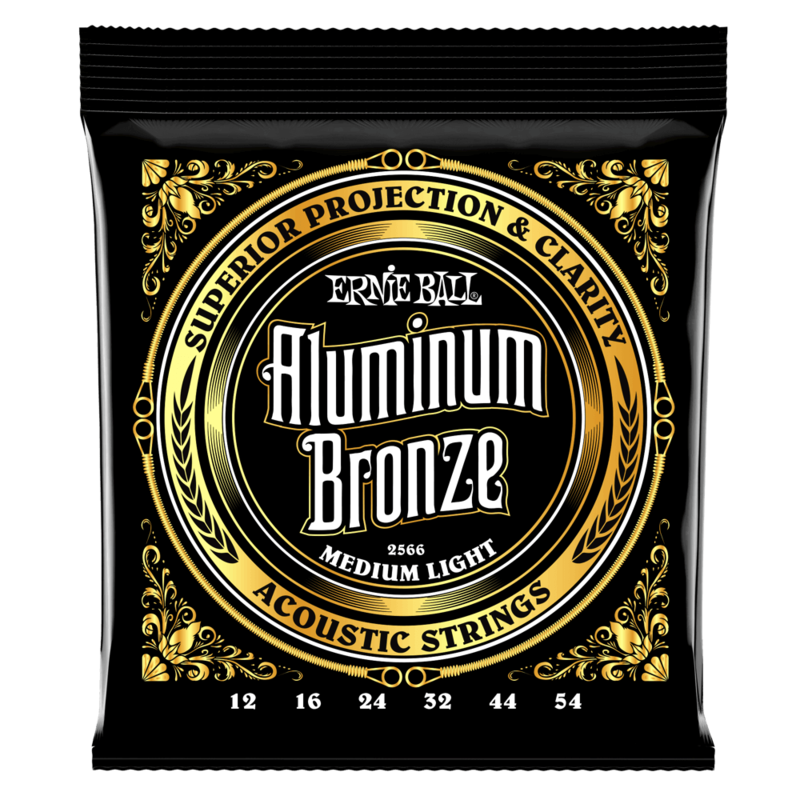 They offer more projection and clarity than traditional bronze strings, while also providing improved corrosion resistance. Ernie Ball maraging steel hex cores and aluminum bronze wrap wire provide more pronounced lows coupled with crisp brilliant highs. 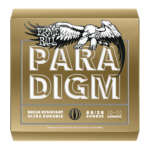 Ernie Ball coated acoustic guitar strings use groundbreaking nanotechnology that repels unwanted moisture and oils that negatively impact your tone. Unlike most coated string products on the market, our proprietary treatment is applied to both the inner hex core and outer wrap wire to provide ultimate protection without compromising tone or feel. 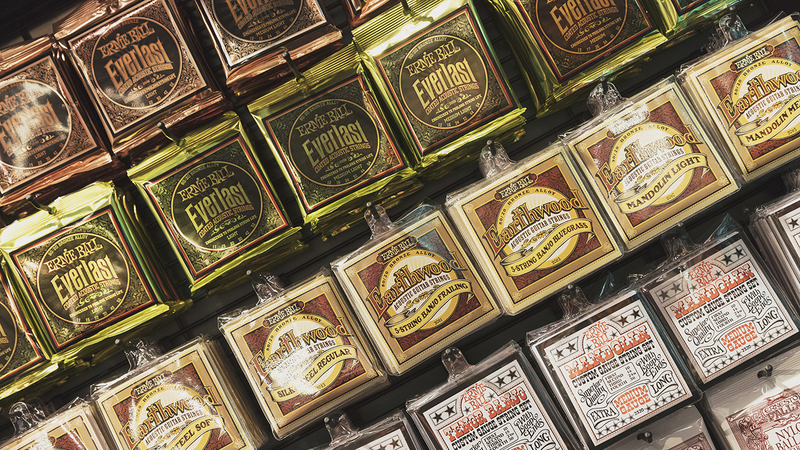 Ernie Ball offers Everlast Coated 80/20 Bronze and Everlast Coated Phosphor Bronze acoustic strings that are virtually indistinguishable from our uncoated string products allowing for the natural feel and sound players are accustomed to. 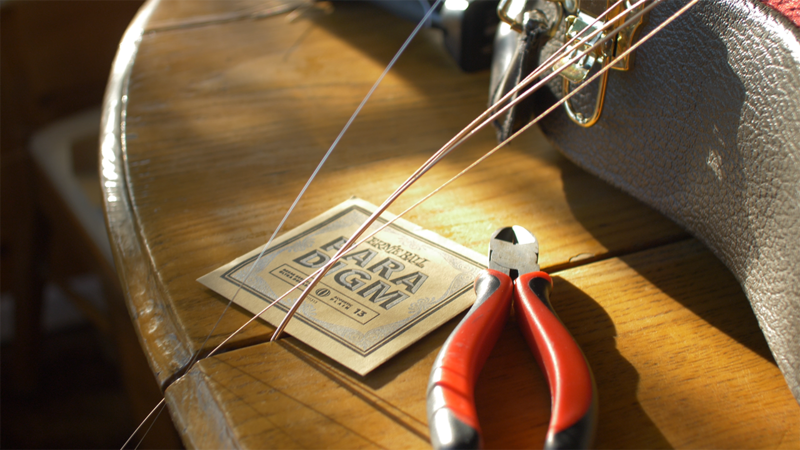 Coated strings generally last longer than uncoated strings and cost a bit more. Ultimately, coating is a personal preference; try both and decide which suits you best! In summary, there are several main things to keep in mind when selecting the right acoustic guitar string. 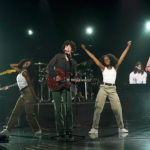 Your own playing style, the desired tone, and finally, the age and condition of your instrument are all important factors to consider. The combination will determine which material and gauge is best for you and your guitar. 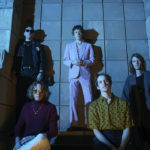 Experiment with what feels best to you and what sounds best for the kind of music that you want to produce. 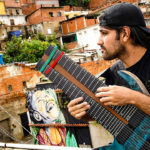 Take a listen as Ryan ‘Fluff’ Bruce, Peach Guitars, Paul Riario of Guitar World, and Andy McKee demo popular Ernie Ball acoustic guitar string sets, and explore all of our acoustic guitar strings on ErnieBall.com. What about those of us who are learning to play a resonator guitar? What strings are best for us? I read somewhere that the bottom 3 should be a light steel and the top 4 strings should be steel wrapped around nylon or silk. 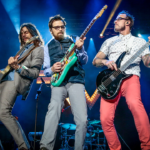 Do guitar strings age affect to the sound? How to coose the best guitar strings? Hi, Bianca! Guitar strings do very much affect your sound. The best place to start is to figure out what kind of sound you want to be making (bright and crisp, full with lots of bottom end, etc. ), and then find the corresponding alloy in the gauge that best fits your playing style. 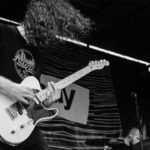 Is there a particular guitarist who has a guitar sound that you think might be a good place for you to start? being used for gypsy jazz solos. the flat wounds on it do not project treble well, but work well for comping. Hey, Steve! Have you tried our nickel-wound custom gauge sets which feature a wound G string? They are frequently referred to as our “jazz set,” though they are certainly not limited to that style.